FastPictureViewer Pro is an image viewer with the speed and features to help you review digital photos faster than ever before. It is designed to speed up the workflow of professional photographers and imaging professionals with full color management, industry-standard rating functions, RGB histogram and EXIF windows, instant Magnifier.View anime comic. Features: JPEG and HD Photo / JPEG XR file formats; Adobe XMP and Microsoft Photo rating; etc. 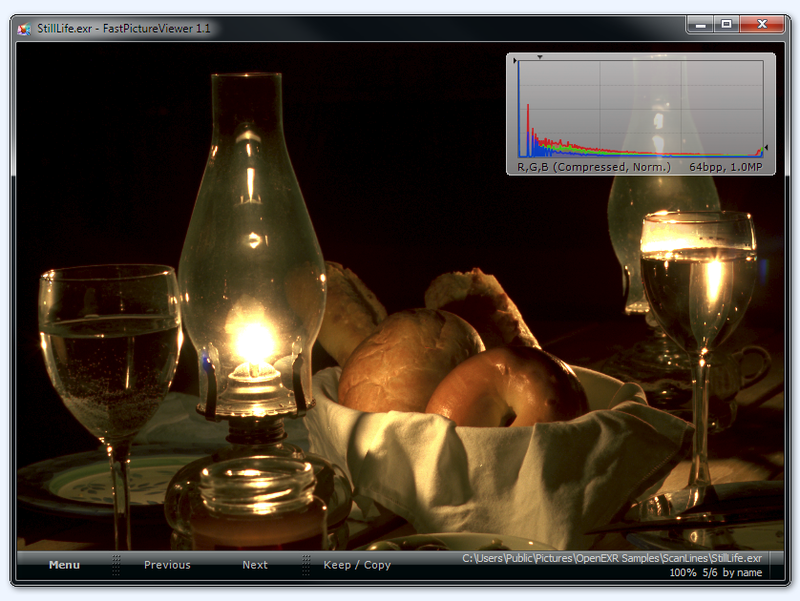 ...... RGB histogram, EXIF shooting data display. * Home, personal, non-profit or educational uses. * The purpose of this page is to Highlight FastPictureViewer Professional's major features and benefits, from a pro Photographer's point of view, and to expand a little on their use and unique abilities. * FastPictureViewer Professional, or FPV Pro for short, was created to complement your software toolbox. FastPictureViewer Professional is aim is to facilitate the first review pass (culling or rating) that you typically have to make when coming back from assignment with thousands of new images. With FastPictureViewer Professional, this usually painful task becomes quick and enjoyable. Qweas is providing links to FastPictureViewer Professional 1.8.253.0 as a courtesy, and makes no representations regarding FastPictureViewer Professional or any other applications or any information related thereto. Any questions, complaints or claims regarding this application FastPictureViewer Professional 1.8.253.0 must be directed to the appropriate software vendor. You may click the publisher link of FastPictureViewer Professional on the top of this page to get more details about the vendor.